Cardiac asthma is not a form of asthma. 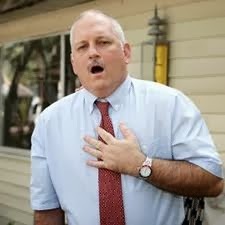 It's a type of coughing or wheezing that's a symptom of heart failure. Depending on how severe your symptoms are, this wheezing can be a medical emergency. When it comes to cardiac asthma, the heart is usually the root of the problem, as the organ has to significantly malfunction in order for the condition to occur. The collection of fluid is caused by the heart’s inability to pump blood powerfully and effectively, and the fluid buildup, in turn, leads to the narrowing of air passages. Pressure exerted by the left side of the heart, due to the unnatural disparity between its work load and capacity, is also responsible for cardiac asthma. Cardiac asthma is historically most prevalent in elderly people, but the condition is not exclusive to this demographic by any means. Cardiac asthma can and does appear in people of all ages, especially those with other ailments of the heart and a natural tendency for unhealthy fluid accumulation. For example, those with leaky heart valves and/or gaps between the heart’s chambers are known to be especially prone to cardiac asthma, even at a young age. As a result of heart failure, fluid can build up in the lungs (pulmonary edema) and in and around your airways. This causes signs and symptoms — such as shortness of breath, coughing and wheezing — that may mimic asthma. Asthma is a chronic condition caused by inflammation of the airways, which can narrow them, leading to breathing difficulties. True asthma has nothing to do with fluid in the lungs or heart disease. While cardiac asthma is mostly caused by internal factors, external influence plays a larger role in true asthma, which is brought on by tightness in the chest, in addition to shortness of breath, wheezing and coughing. True asthma can be triggered by things such as weather, smoke and pollution. Since cardiac asthma and true asthma are two distinct medical problems, the common treatments for true asthma can have the reverse effect when cardiac asthma is concerned. Inhalers and therapies medications meant for asthmatics can make the symptoms of cardiac asthma worse and even cause irregular heartbeats. Thus, it is important to approach cardiac asthma from the correct angle in order to alleviate the symptoms and properly manage the sickness. The signs and symptoms of cardiac asthma vary in their intensity from person to person but the surface especially after exercise or while sleeping. The main symptoms of cardiac asthma are shortness of breath, rapid shallow breathing or chest pain, accelerated heart rate, high blood pressure or swelling of the ankles. Symptoms can worsen over time and can wake you in the middle of the night because of shortness of breath. Swollen ankles are characteristic of cardiac asthma that you might see in a normal condition of asthma. Both cardiac asthma and pulmonary edema are symptoms of coming heart failure. It is a life-threatening condition and one must seek medical advice immediately on experiencing any symptoms. Shortness of breath, not necessarily accompanied by wheezing. Increased rapid and superficial breathing. Increased blood pressure and heart beat rate. Cardiac asthmatic people wake up breathless a few hours after sleeping, and have to sit upright to again properly breathe. This is due to lying down too long. Swollen ankles which worsen rapidly during the stretch of the day. Usually, cardiac asthma is due to major mechanical heart failure. This may be a life threatening situation, if not checked properly and at right time. In this, heart pumping efficacy is reduced and builds up fluid in lungs. This leads to narrowing of air passages and hence, causes wheezing and other problems. Pulmonary edema can result from problems with the valves in the heart. If the mitral opening narrows--a condition called mitral stenosis--the amount of blood reaching the left ventricle diminishes, resulting in a back-up in the pulmonary veins. The mitral opening separates the left atrium and ventricle. This occurs, most often, as a result of rheumatic heart disease, in which the mitral valves and chordae tendineae thicken and stiffen. Chordae tendineae keep the mitral valve from backing up into the atrium, a condition called mitral valve prolapse. After blood reaches the left ventricle, the aorta carries it on to the rest of the body. If the aortic valve narrows (aortic stenosis), a diminished amount of blood can leave the ventricle. 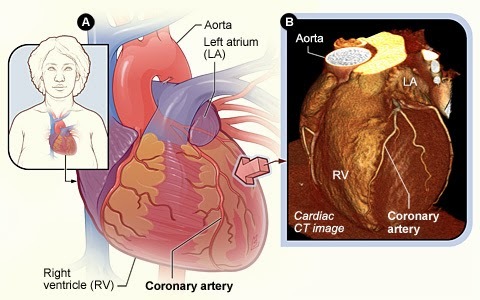 Also, in a condition called aortic regurgitation, blood that reaches the aorta flows back into the ventricle due to dysfunction of the aortic valves. These aortic valve problems can cause the back-up that results in pulmonary edema. Pulmonary edema can occur as a result of several heart muscle problems. The most common cause is abnormal systolic function--problems with the heart during the contraction phase of a patient's heartbeat. 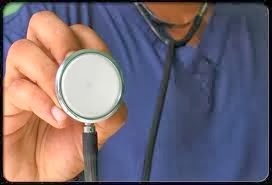 Diseases that cause systolic dysfunction include coronary artery disease (CAD), a toxin present in the blood stream, and myocarditis, which is inflammation of the heart muscle. Systolic dysfunction causes increases in pulmonary venous pressure because the volume of blood being pushed from the heart is less than the amount being sent to the heart, causing a back-up in the pulmonary vessels. Diastolic dysfunction can also cause pulmonary edema. 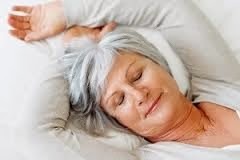 Causes of dysfunction during diastole, the relaxation and filling phase of hearbeat, include heart muscle diseases, lack of blood flow and high blood pressure. The immediate cause of pulmonary edema is simply an increase in pulmonary venous pressure, meaning that more blood than usual is in the veins that run between the lungs and the heart. This is known as backward failure. With the rise in pressure, there is little time to compensate for the increased vascular volume; the layer of cells that allows only gases to permeate begins allowing fluid to pass. This fluid builds up in the lungs' spaces, and breathing becomes restricted and difficult. The other causes of cardiac asthma are less common, but worth noting. Narrowing of the renal artery, or renal artery stenosis (RAS), can cause pulmonary edema. In some cases, edema has been the only symptom by which RAS was diagnosed. A benign tumor of the atrial wall, called atrial myxoma, and a blood clot inside the heart, known as an intracardiac thrombus, may also present pulmonary edema as a symptom. Cardiac asthma must be differentiated from the various primary diseases of the lungs which cause paroxysms of wheezing or panting. The differentiation is usually readily made by simple clinical measures; in doubtful instances measurements of circulation time may be of crucial value. Attempts to reduce the amount of residual blood in the left ventricle (rapid digitalization, use of oxygen, and aminophyllin). A severe attack of cardiac asthma associated with rapidly developing pulmonary edema constitutes one of the commonest and gravest of all medical emergencies. There are few conditions in the broad domain of internal medicine in which prompt and energetic therapy, based on an understanding of the mechanism of the disorder, can produce such immediate and gratifying benefit. A chest x-ray usually reveals the presence of fluid in your lungs that indicates your symptoms are caused by cardiac asthma rather than lung or bronchial asthma. To diagnose heart failure, doctors rely on EKG, cardiac stress tests and imaging techniques like echocardiograms and CT scans, explains the National Library of Medicine. The key to effective management of cardiac asthma is right diagnosis, which includes differentiation between patients who wheeze only due to acute heart failure vs those who wheeze from other disorders, such as asthma, chronic obstructive pulmonary disease, pneumonia or acute respiratory distress syndrome. Treatment is directed at improving the pump function of the heart along with medications. If the asthma is caused by a heart valve that is not working properly or a hole between the heart chambers, surgery or other procedures may be suggested. Treatments mainly focus on controlling the night coughs, control of the edema, control of inflow load and the amount of residual blood in the left ventricle. 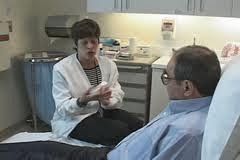 Treatment of heart failure involves using diuretics (water pills) to free the lungs of excess fluid and medications to help the heart muscles pump more effectively. When the heart failure has been well controlled, the wheezing will gradually stop. Some people may suffer from asthma and heart failure simultaneously, and thus require treatment for both conditions. Patients suffering from cardiac asthma generally respond well to a combination of bronchodilators, supplementary oxygen, and treatment of the heart failure. Corticosteroids are prescribed only when the patient with acute cardiac asthma has not responded well to initial therapy. Corticosteroids usually take long hours to give peak effect. If the asthma is caused by a heart valve that is not working properly or a hole between the heart chambers, surgery or other procedures may be suggested. Who are prone to cardiac asthma? Cardiac asthma usually occurs in elderly people who have wheezing and shortness of breath that are due to heart failure. When the heart is too weak to pump blood effectively, fluid will accumulate in the lungs. Fluid in the lungs causes shortness of breath and wheezing.